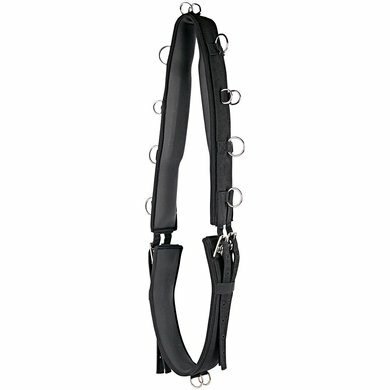 Luxurious lunging girth with neoprene lining. The girth has 12 rings of which 2 are situated on the underside. 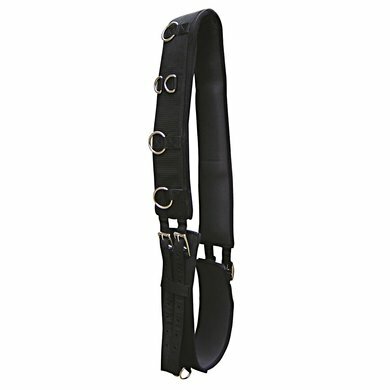 Adjustable on both sides of the girth with roller buckles. 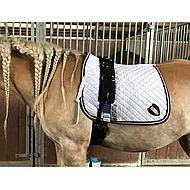 Fine girth, along with double lunging line purchased. Nice set and easy to use. Fine lunging. Satisfies what it must meet. Strong material. Remains well on the spot, easy to adjust.